Originally I posted this on the MBworld forum, but for all intensive purposes, I've decided to link to it from my site, and also copy most of the content here, in the case that the post goes missing from the site! 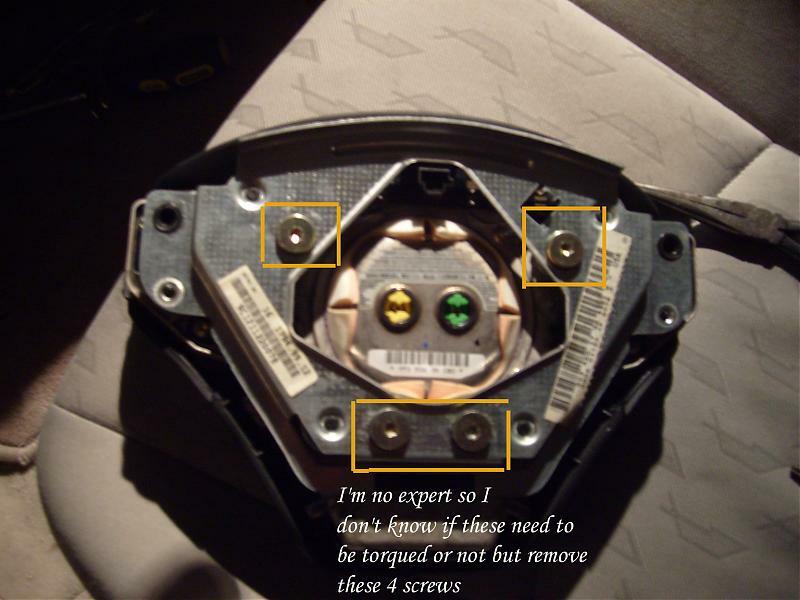 I am making this post because I tried searching about my steering wheel controls not working, and I didn't find much, Basically the controls on the left side of my steering wheel slowly began "not working", I read about other people having the same issue but the only "fix" was to call the dealership find out it costs alot to get fixed and that was about it. Basically I found a thread that explained to me how to get that Steering wheel torn apart enough that I could do some investigating, I'll write up a "how-to" in this thread when I get home where I have pictures. 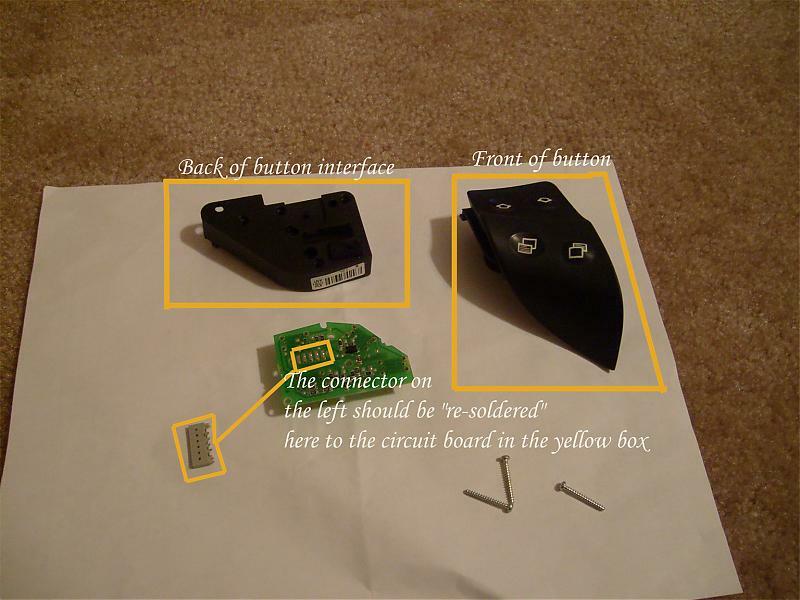 Big key, the connector attached to the PCB (printed circuit board) had broken away from the solder, with no solid connection in place the button malfunctioned altogether. If you are having problems with this in your car I think this is one place to check, I just soldered mine back in and it works like a charm. 2. Torx T30, one that will fit between your dash and the steering wheel and can reach in and unscrew the unit that holds the airbag to the steering wheel. 3. Torx T06 (let me double check on that when I get home) to take the control unit apart to get at the connector. 4. Soldering Iron with a fine point and some solder. * NOTE: I disconnected my battery just to be safe, I recommend the same for anyone else doing this "mod"
2. Once you have the Airbag/Steering wheel controls unit separated, place the unit facedown on a soft rag (dont want scuffs of course)! 4. 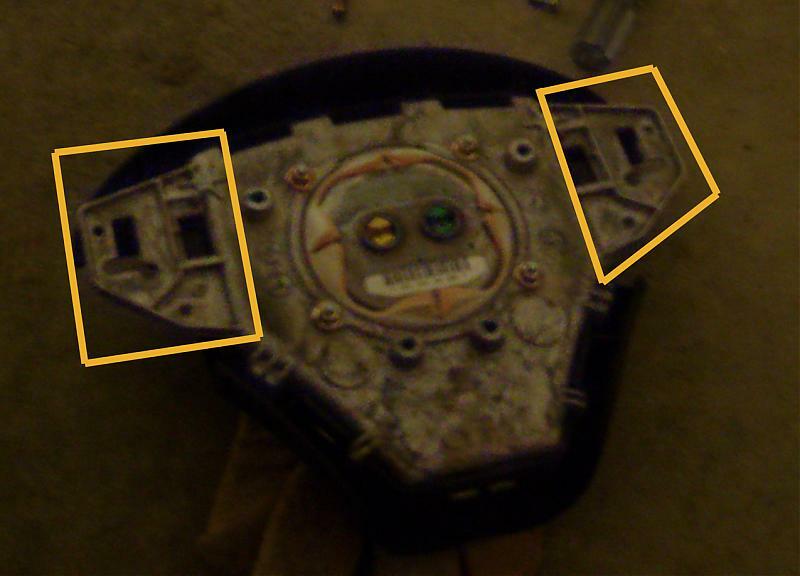 Next remove the appropriate steering wheel control from the unit see they are attached by a couple screws in the locations highlighted. 6. Once it's all finished and you've ohm checked it (checked for continuity a.k.a. 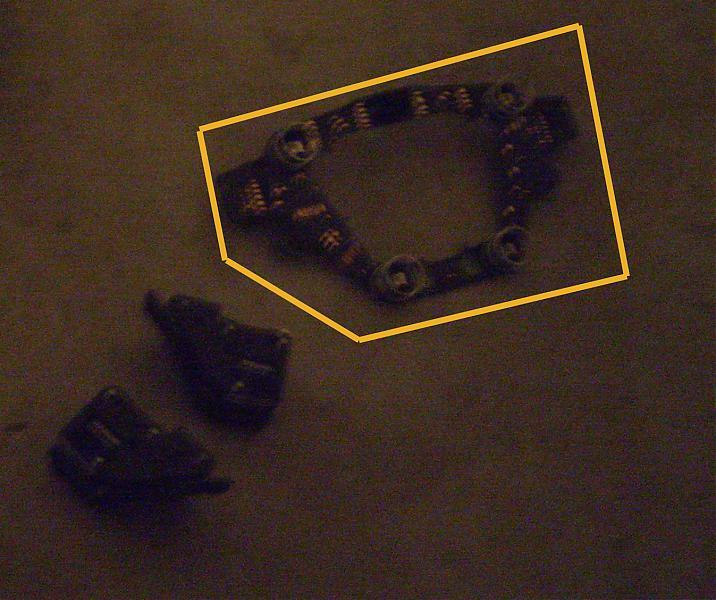 no shorts, opens etc) put everything back together in the reverse order you took it apart. If anyone needs more details or better explanations please let me know, this is really one of the first tutorials i have written and hope it's understandable. Thank you to Bif Powell from mbworld.org forums, for the info on how to get the stuff apart. *Note sorry at least one pic is not very clear, I had poor lighting.